If you have been directed to this page, you have been diagnosed with femoroacetabular impingement, and may be eligible for a research project being conducted by researchers at the University of Melbourne. 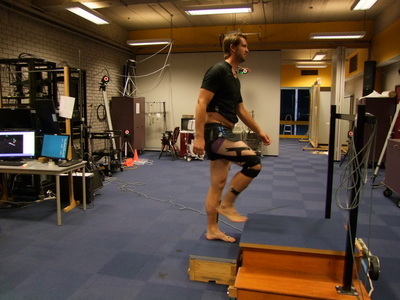 At Peak Sports Medicine, we are involved in identifying potentially suitable participants for this project. This research will examine how a specially designed brace affects walking and movement patterns as well as pain and symptoms of people diagnosed with femoroacetabular impingement. 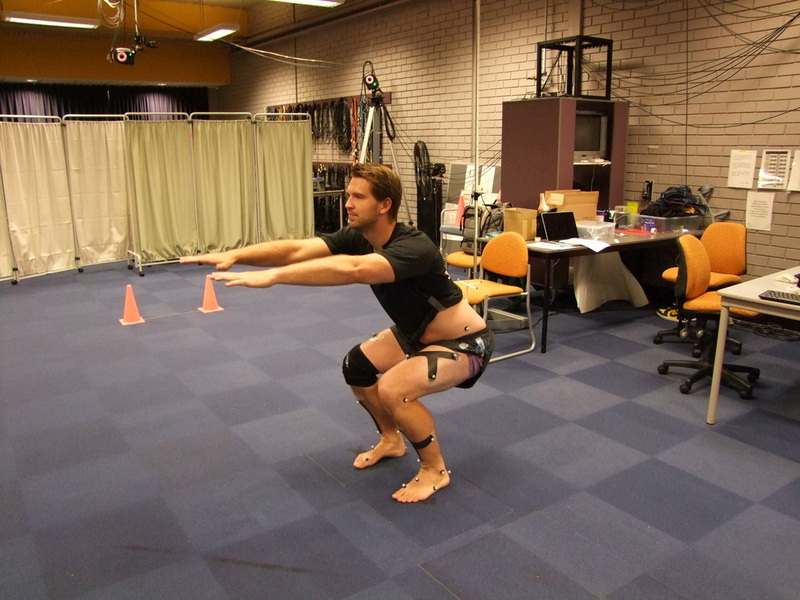 Your participation in this study will contribute valuable data that will advance the knowledge base in the future management of people with femoroacetabular impingement. In addition, you will be able to keep the brace (worth $105) at the end of the study and receive a $50 gift voucher. In considering your involvement, please refer below for further details of the study and participant requirements. If you are interested in participating, and consent to being contacted, the University of Melbourne researchers will be provided with your contact details and you will be contacted by a researcher who will discuss the study with you, what your role in the study entails, as a participant, and verify that you are interested in taking part. You will also be asked some further questions to verify your eligibility. Throughout this process, and the study, your privacy and confidentiality are ensured. Any queries you have about the research may be directed to Nick Newcomb at the University of Melbourne. Otherwise, please feel free to discuss this study and your potential participation or decision to participate with anyone, including your physician. Please be assured that your decision about whether or not to participate in this study will NOT affect your medical care in any way or your relationship with the team here. Here is some background information as to why we think this project is important and what we would like you to do if you decide to take part in this research. Femoroacetabular impingement (FAI) is a common condition causing hip and/or groin pain in young active adults. This is a condition in which abnormal contact occurs within the hip joint giving rise to pain, stiffness, muscle weakness and reduced physical function. While walking and other physical tasks, the symptoms of FAI are increased with particular hip movements and it is proposed that treatments that reduce these hip movements may reduce pain. 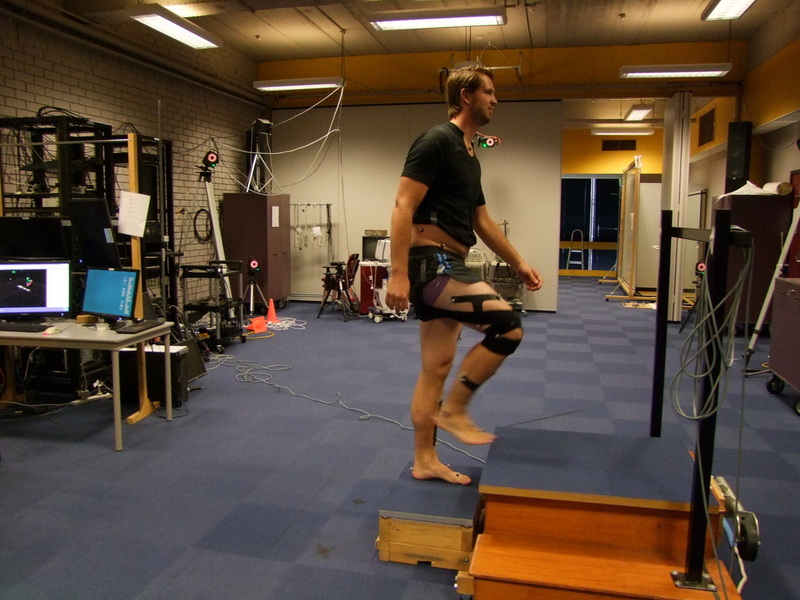 This project will investigate the effectiveness of a specially designed brace that is designed to keep the hip out of the impinging positions and thus potentially improve symptoms in FAI in young adults. 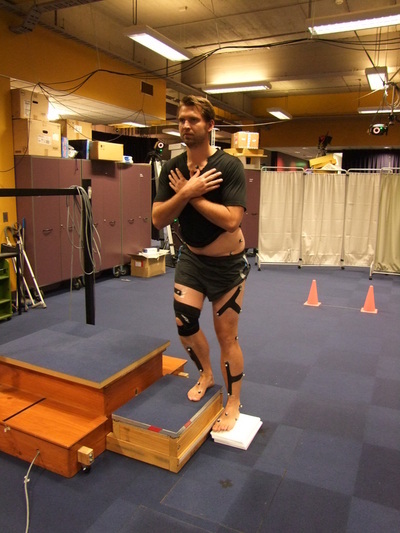 You can participate if you are (1) aged 18-35 years; (2) have symptomatic femoroacetabular impingement, (3) are able to attend the University of Melbourne for two testing sessions, (4) have no known allergic reaction to adhesive tape, and (5) are able to wear the brace for 4 weeks after testing. The research project has three parts. If eligible, you will undergo one physical assessment at the Centre for Health, Exercise and Sports Medicine at The University of Melbourne, located at 202 Berkley Street, Carlton. The assessment will take approximately 1.5 hours. For the testing you will need to change into shorts. You may either bring your own shorts or shorts may be provided to you. You will also be asked to complete a questionnaire to provide information such as age, gender and your hip symptoms. 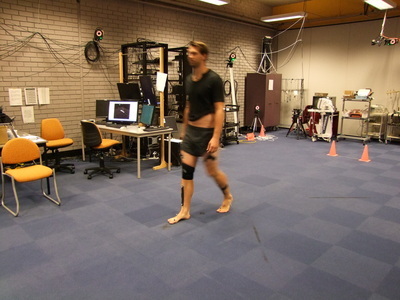 The measures taken at this time will include assessment of your walking and movement patterns. Reflective markers will be placed on the skin at standardised locations including the ankle, knee, hip and trunk using adhesive tape. Participants will perform the following functional tasks both braced and unbraced (in random order): walking at self selected speed, stair climbing and squatting. Each task will be performed approximately 6 times with and without the brace. The research staff will provide you with clear instructions to help you complete each task. You will be provided with a brief rest period after each task. At the completion of each of your assessments you will be asked to rate your pain levels. You will be asked to report to the investigator any pain or discomfort during any of the testing procedures. At the completion of the testing in part a, you will be provided with a hip brace to take home and will be asked to wear the brace for at least 4 hours per day for four consecutive weeks to test its longer-term effects. You can increase the amount of time you wear the brace over the first few days as you become accustomed to it. You will be provided with a log-book to record the hours you wear the brace each day, as well as any problems you have with the brace. At the conclusion of the four-week period, you will be invited back to the University to complete physical tests and a questionnaire, similar to those completed at the initial appointment. At the completion of the follow-up testing session, you will be provided with a $50 gift voucher as a token of appreciation for your time and involvement. It is possible that you may find wearing the brace has a positive effect on your hip symptoms. You will also be able to keep the brace at the end of the study if you wish. 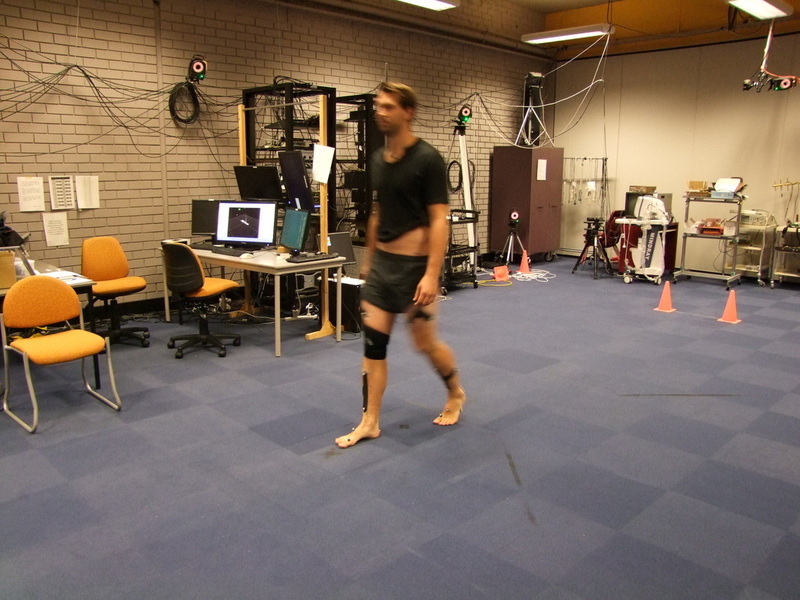 The risks associated with the walking and movement tests are no greater than those encountered by you during walking, stepping or squatting in your everyday life. The investigators are all trained in first aid and the Department of Physiotherapy has emergency procedures in place. Therefore if any medical event arises during the testing, the investigators will be able to deal with it appropriately. It is possible that you may find the brace uncomfortable. If this is the case you can reduce the amount of time that you wear the brace or cease wearing it. Travel to the University for testing is your responsibility but you will be provided with parking at no cost to you. What if I have any concerns during the study? The Principal Investigators will be available throughout the study if you have any questions. This project has been approved by the Human Research Ethics Committee of the University of Melbourne. If you have concerns about the way the study is being conducted you should contact the Executive Officer, Human Research Ethics, The University of Melbourne, Parkville, Victoria, ph: 8344 2073. Can I withdraw from the study if I wish? Your participation in this study is voluntary. If you do not wish to take part you are under no obligation to do so. Also, if you decide to take part but later change your mind, you are free to withdraw from the project at any stage. You may also withdraw any unprocessed data previously supplied by you. Your decision about whether or not to participate or to continue in the study will not affect potential future participation in other studies in any way. The anonymity of your participation is assured by our procedure, in which a code number and not your name will identify you. No findings that could identify you will be published and access to individual results is restricted to the investigators. Coded data will be stored for 7 years. All data and results will be handled in a strictly confidential manner, under guidelines set out by the National Health and Medical Research Council. The chief investigator is responsible for maintaining this confidentiality. This project is subject to the requirements of the Human Research Ethics Committee of the University of Melbourne. However, you must be aware that there are legal limitations to data confidentiality. You should ask for further information if you require it. If you would like more information about the study, or if there is any matter about it that concerns you, either now or in the future, do not hesitate to ask one of the researchers (eg. Nick Newcomb). Before deciding whether or not to take part you may wish to discuss the matter with a relative or friend, or with your doctor. You should feel absolutely free to do so. By checking this box and submitting the above information (name, email and telephone number), I understand that my contact details are being sent to a researcher involved in conducting the study described above, confirm my consent to being contacted by this or another researcher involved in the study, and consent to my status as a patient at Peak Sports Medicine being confirmed or disavowed by a physician at Peak Sports Medicine to one of the researchers involved in the study. Please be aware that if you indicate here that you wish to be contacted, you have not consented to participate. Instead, you’ve only indicated your interest to researchers at the University of Melbourne, made it possible for these researchers to contact you, and allowed them to confirm that you are a patient at Peak Sports Medicine with your physician. You will still be provided with the study’s official ‘plain language statement’ and consent forms if they have not yet been supplied to you. This is to ensure that you may make an informed decision regarding your participation.